Garces Memorial teams are some of the most competitive in California. Our student-athletes work smart, play hard, and achieve greatly, contributing to the strong tradition of Garces Athletics, since 1947. Participation by students, families, and all Rams fans is highly encouraged. We stress competition consistent with the C.I.F. standards of pursuing “Victory with Honor" and we are guided by the greater Mission of our school, to develop students Spiritually, Academically, and Socially. Additionally, we encourage all athletes, coaches, and fans to “PICKUP” our athletic core values. Passion... choices, why we are here, and our love of sports. Integrity... words, actions, and soul are worthy of leadership. Courage... be fearless, act and work when times are hard. Knowledge... consume information and think critically, to maximize efficiency. Unity... brotherhood/sisterhood, family, and faith, are greater than our individual desires. Prayer... we don’t have all the answers, give thanks, ask for guidance, and forgiveness. We’re proud to have Garces Memorial Student-Athletes on our teams—and so are some of the best college athletic programs in the country. of the student body participated in athletes over the decade.  Garces is ranked 4th all-time in the history of the CIF Central Section with 124 team championships, most recently in boys’ water polo last fall and baseball in the spring. An additional 63 teams have finished section runners-up and dozens of Ram athletes have won individual Valley titles. Garces has also won nearly 500 league championships over the past 70 years. The boys’ and girls’ programs have shared near equally in the school’s success, even though the girls’ programs weren’t started until the 1970s. Cal-Hi-Sports chose Garces state medium school of the year in 1988 and 2003. In 1987 they honored the football team and John Fanucchi as state team and coach of the year. Softball was also chosen state team of the year in 2004. Alumni have played professionally in eight sports and competed on U.S. national teams in men’s rugby and swimming, and women’s track and volleyball. Some have participated in the Summer Olympics, Super Bowl, Wimbledon, the College World Series and numerous college bowl games. View this year's athletic calendar and results. Athletics is a vital part of the educational experience.